A little over a month ago, we kicked off one of our favorite events: the Annual Melee of Kindness (AMOK). 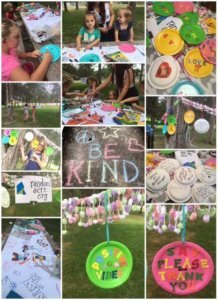 While in past years, AMOK was a special day of kindness, we went a lot bigger this year, and ran AMOK for an entire month! 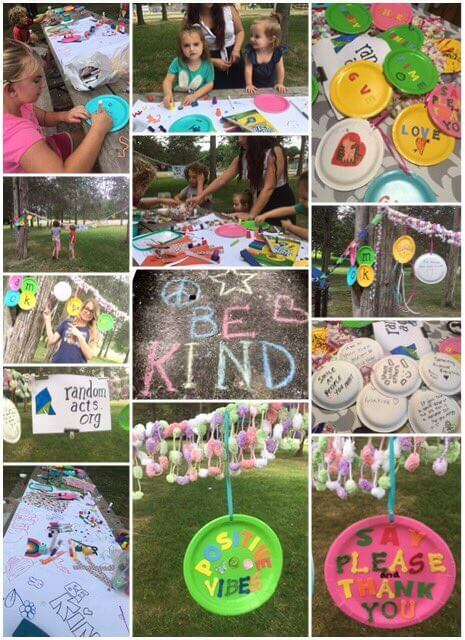 One of our regional reps in Canada threw an amazing Community Kindness picnic! Way to go, Ruby! AMOK is a time when we put an intense focus on performing kind acts of every size and looking for new opportunities to share kindness with others. Could we do it for a day? Sure, no problem. A weekend? Of course! But stretching AMOK to a full month helped challenge seasoned kindness warriors to really extend their focus for a longer period of time, while giving new supporters lots of time and flexibility to be able to participate. Some people did one act for the month, while others did two or three. And some even attempted an act of kindness every day! With so much kindness flying around like confetti, you can imagine what a big job the “clean-up” is! We’ll have a full recap of what our amazing supporters and staff did to help conquer the world in a later post, but for now, here are a few highlights. Maybe they’ll give you some ideas on how to keep the kindness flowing post-AMOK! created art and donated to animal shelters at community picnics. picked up litter in parks and beaches and even subways. donated blood, some for the first time ever! baked and shared homemade treats with first responders. You can find lots of other inspiring stories by checking the #AMOKRA hashtag on social media. Did you participate in AMOK? If so, please let us know what you did by filling in this form. We love hearing how our supporters are out there changing the world!